Get it Free. A free trial version of this softphone is available for non-commercial use only. 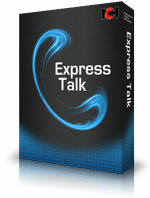 If you will be using Express Talk at home you can download the free trial here. Combine Express Talk with other programs in our telephony suite such as Axon, a Virtual PBx System, to create a customized phone system to for your business. Express Talk can be integrated with any of the other applications in the NCH Software Telephony Suite to create a customized business phone system solution. Use Axon Virtual VoIP PBX Software to create extension on your telephone system. Use VRS Call Recording Software to record phone calls on multiple phone lines. Add voicemail boxes, a call attendant or interactive voice response with IVM Voicemail Software. IMS On-Hold Messages Player is a comprehensive on hold music and message scheduling. 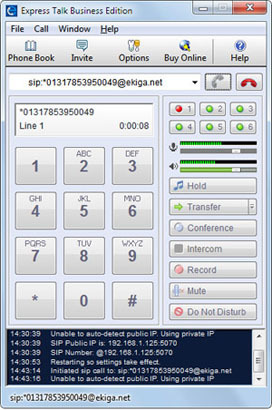 Quorum Telephone Conference Server lets you run a phone conference server on your PC.